Since a young age, I have always been involved with performing arts so walking around backstage has never fazed me. 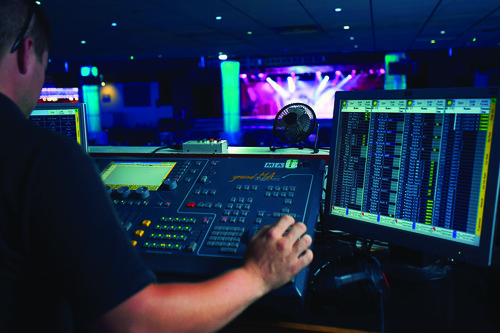 I am used to sound technicians, lighting crew and performers working long hours to put on great shows for willing audiences. However, walking backstage at Butlin’s never fails to impress me. The area is packed full of team who are so passionate, hard working and dedicated that the area has a real buzz about it. Over our summer peak breaks, Centre Stage hosts up to 21 shows a week! 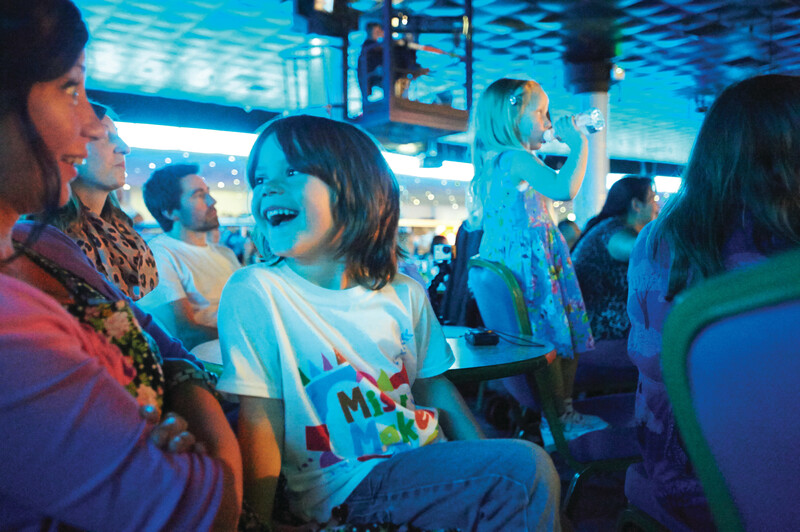 Each show has been carefully created to WOW our audiences and this year you can see some spectacular productions from household names such as Stephen Mulhern and Diversity. Each show takes months of planning, weeks of rehearsals and hours of dedication to be the best it can possibly be before our guests take a seat to watch the show. One of my favourites this year is our very own Aladdin Rocks. The show tells the story of a poor street urchin, Aladdin, who discovers a magic lamp and a whole new world of wonders and adventure. 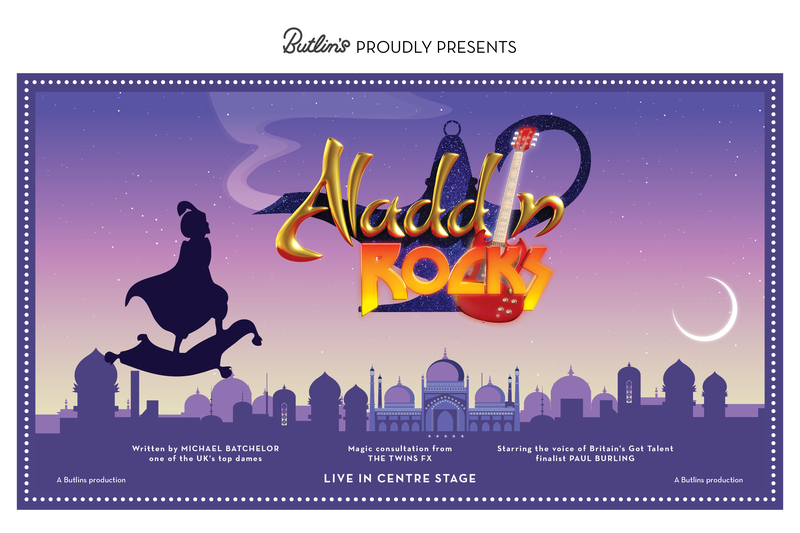 Set to an upbeat rock soundtrack, with great costumes, stunning sets and amazing special effects from the internationally renowned illusionists TheTwins – plus Paul Burling (from Britain’s Got Talent) as the voice of the Genie. It really is a production to be proud of. Backstage can see up to 40 team working to put on the show with 15 performers, technical crew, make-up and hair artists, wardrobe team and production managers making the magic happen. 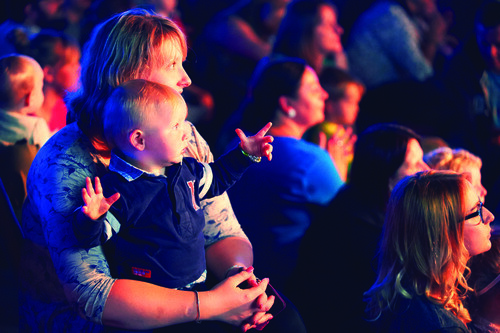 After five months of production the show went live during our February half-term break this year and has entertained over 132,000 guests since! 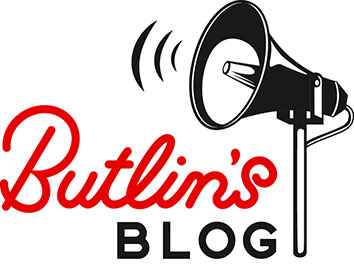 I don’t want to give too much away, but if you do visit Butlin’s this Summer, I really recommend you see this show. The production is amazing and the illusions are spectacular, rivalling some seen in the West End and Broadway. We normally wouldn’t let our guests come backstage – but this video gives you an exclusive look at how we set up a show and all the work involved!